We meet Andreas Grahl in the exhibition "Konferenz der Dinge". In the exhibition “Konferenz der Dinge”, which opens at the beginning of March in the Neubau, we meet the artist Andreas Grahl and take a closer look at his study, which was rebuilt in the exhibition 1: 1 . 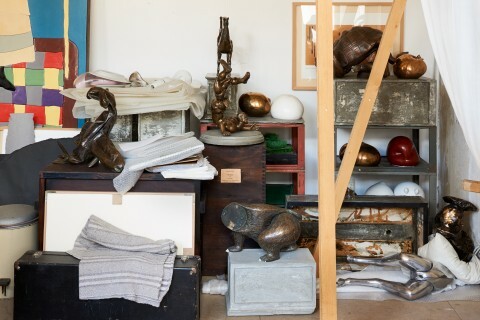 In this room he shows some of his own work and arranges things that are in exchange with each other. We ask you to register in advance via foerderkreis@gfzk.de.